Built by EDF Renewables, the project is located on a closed landfill in the City of Annapolis, Anne Arundel County, Maryland. Building Energy and Building Energy Holding US through its renewable energy subsidiary Annapolis Solar Park, announced the inauguration of its largest solar PV project built in North America. Built by EDF Renewables, the project is located on a closed landfill in the City of Annapolis, Anne Arundel County, Maryland. With a capacity of 18 MW, the milestone was celebrated with an opening ceremony attended by the Mayor of Annapolis Gavin Buckley, the County Executive Steve Schuh, Building Energy Managing Director North America Andrea Braccialarghe, EDF Renewables Distributed Solutions CEO, Jamie Resor, a delegation of the Embassy of Italy represented by Maurizio Greganti, Deputy Chief of Mission, as well as different public authorities at the federal, state and municipal levels. The PV plant, which is expected to produce about 24 GWh of electricity annually, is supported by Power Purchasing Agreements for the sale of the entire energy generation for 20 years with the City of Annapolis, Anne Arundel County and the Anne Arundel County Board of Education. The plant will also be supported by the sale of Renewable Energy Credits (RECs). The investment for the construction of Annapolis Solar Park, which achieved full production at the end of June 2018, amounted to approximately 36 million US dollars. 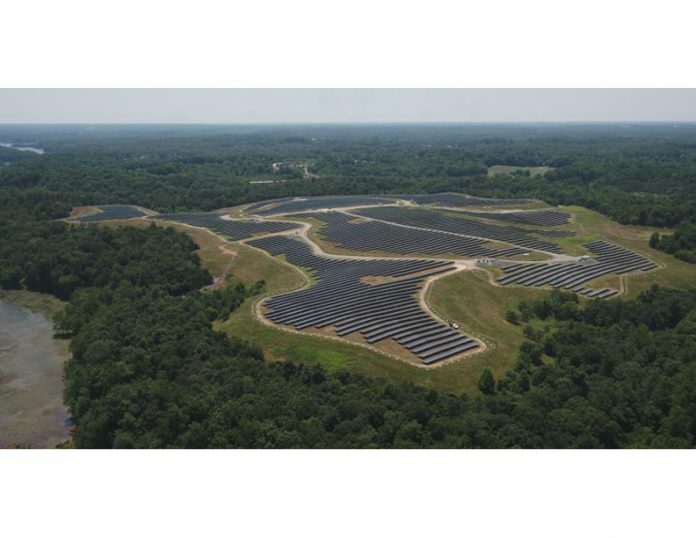 Thanks to the solar plant, the landfill, owned by the City of Annapolis, is now becoming a reliable source of revenue for the first time since it was closed in 1989. The project will also bring financial and environmental benefits to the City of Annapolis, ensuring long-term, fixed and predictable energy cost and CO2 emissions savings. The company has been present in the United States since 2013 with 63 MW operational and more than 100 MW of PV Solar and 200 MW of Wind farms under development.